Domenico Clerico’s Barolo Bricotto Bussia is absolutely gorgeous tonight. Hauntingly beautiful, with plenty of the tertiary nuances Nebbiolo acquires over time, the 1989 is a pure joy to taste and drink. Alluring scents of dried rose petal, tobacco, autumn leaves, herbs and dried cherry give the wine its sensual, inviting personality. There is still good depth to the fruit and plenty of acidity, but I don’t expect to see the 1989 improve much from here. 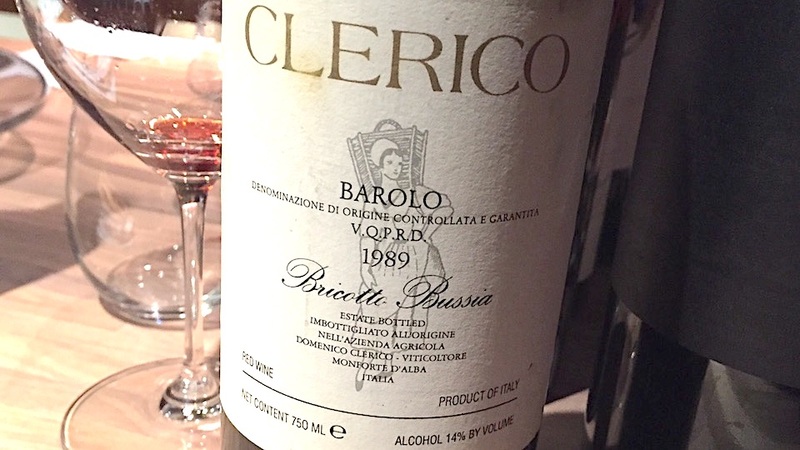 When Clerico made the 1989 he had not yet fully embraced all of the modern techniques that would inform his Barolos of the 1990s and 2000s. Clerico’s recent passing leaves a huge void in the world of wine. The 1989 Bricotto Bussia shows him at an early stage in his long and distinguished career. 91/Drink now.